Take a seat in this barber's chair. It's quite a ride. Saratoga Springs-based barber Joe "Woody" Wood of Woody's Barbershop will be contributing on a regular basis to saratogaliving.com. Hello. I’m Joe “Woody” Wood. Or just Woody to my friends. Pleased to meet you all. I’m the owner of Woody’s Barbershop in Saratoga Springs. I was born and raised in Ithaca, NY, and life eventually brought me to Las Vegas, where I worked as a bartender at Treasure Island. Not long after my tenure in Vegas, life brought me—full circle—back to Ithaca, where I put everything aside to take care of my ailing father. It was through my dad that I would discover Saratoga Springs. I spent all day, every day taking care of him in Ithaca, and he told me I needed to get out of the house one day and go to the track (I’ve since become a huge fan of horse racing and a betting opportunist). He also told me something rather poignant: “When I’m dead, I want you to be a barber.” You see, one of the things I’d been doing for my dad and the rest of his friends was cutting their hair. I apparently had a gift. “I’ve been to barbers all over the world, and you’re the best barber I’ve ever been to,” he told me. That’s how I ended up becoming the Owner/Master Barber at Woody’s Barbershop in Saratoga. It’s an amazing place with a wide array of clients, both poor and rich, and we gather countless stories from everyone. I’m an avid sports fan, passionate horse racing fan and I love live music. I’ve golfed and dined with the famous and eaten with the homeless, and I consider myself an entertaining optimist, always willing to share myself and my open observations. All this has led me to this column on saratogaliving.com. I’ll be bringing you articles, stories, reviews, predictions and random rants and raves on interesting people and events in Saratoga—as well as some fun and interesting insights on everyday living in town. Like this one below. 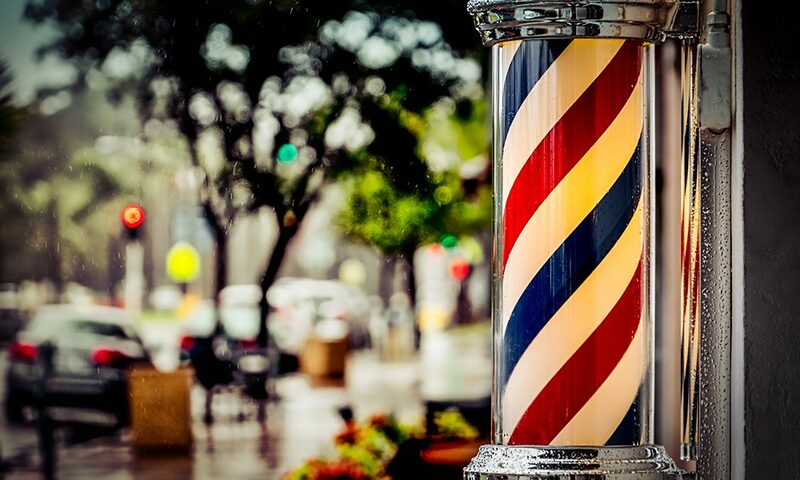 Being a barber, I get to hear countless stories from clients: good, bad, happy, sad and everything in between. I also gain amazing insights into peoples’ lives and relationships, and sometimes, a night on the town is just what I need to unwind. Not that sharing intimate conversations about peoples’ lives is tiresome—I assure you it’s not; it’s something that I treasure and cherish—but I was just due for a night out. Wow, who knew downtown Saratoga in the winter was just as much fun as a warm summer night! Really, I’m not kidding! It was fun for everyone—well almost. Cocktails, chatting, mingling, dancing, more cocktails, everyone getting along, laughing and smiling…the good times just kept rolling. Now being a middle-aged man, sadly my body won’t allow me to have the good times of my days gone bye. But that didn’t seem to stop countless other adults my age from going out and having fun that night. I met a couple from Rochester who told me that they just came in for the night because Saratoga is so much fun; and another couple, who traveled all the way from Buffalo to spend a romantic weekend here, told me it was because of the great bars and restaurants we have. I met some others who just go out every Friday to let off a little steam after a hard week of work. But remember: not everyone I met was happy. One lady was just sitting by herself in the corner being sad and depressed, and me being Mr. Personality, especially after a couple of glasses of red wine, I had to test my skills and try to cheer her up. After a brief introduction she shared her story with me. She said she was sad, lonely and depressed; she’d just sent her youngest daughter off to another state to go to college. She told me how she was a single mom and how she worked two jobs just to get by. I told her how proud I was of her and how it’s not easy being a single working mom. In fact, I can’t even imagine it. And to get two children through school and off to college is most certainly as good as any reason to celebrate. I’m not sure it worked, because she didn’t hang around long, but hopefully my kind words will stick with her and she’ll soon look back at her amazing achievement. I didn’t even know her and I was proud of her! It’s easy to forget how great downtown Saratoga is, especially when we live here. Sure, our middle-aged bodies often punish us for wild night out—and it definitely seems easier to just stay home and leave those good times for the younger generation. But with that being said, I couldn’t be happier with my night out on the town. The laughter, good times and new friends I made were well worth the price. It was Saratoga Living at it’s best, and I can’t wait to do it again!